By now I’m sure you’ve heard the rumor that BMW and its arch-rival Mercedes-Benz have been flirting with the idea of building a car together. The rumor comes from German magazine Handelsblatt, who recently said that high-ranking members of both brands are considering the idea of the two brands developing a premium front-wheel drive car. Such a move would be shocking to say the least, as the two brands have been competitors for a literal century. So I ask you, fine BMW enthusiasts, would such a move be awesome or appalling? Let’s take a look. If BMW and Mercedes-Benz were to develop a car together, the joint project would create the next-generation of 1 Series and A-Class, respectively. Since a brand-new A-Class just debuted and a new 1 Series in imminent, the fruits of their partnership wouldn’t be seen until at least 2025. There’s no denying that both BMW and Mercedes-Benz make great cars. As an enthusiast of one brand, it’s okay to prefer one over the other. But to deny the merits of each brand is blind fanboyism, because both make outstanding cars. Both also have at least a century of experience and know-how. So the idea of two automotive giants such as BMW and Mercedes-Benz putting their collective heads together for any sort of car is an extremely interesting one. Also, both car companies know how to make front-wheel drive cars exciting. Mercedes-Benz has been doing it for longer, so it’s better at front-drive than BMW is. However, we’ve already seen that the Bavarians know a thing or two about front-wheel drive fun. But if they were to both work together on a front-wheel drive chassis, it would have the potential to be the very best one on the market. It would also help with cost. Both brands investing in the same chassis would help both brands save some money. Money saved by the automaker means that money can be saved by the customer, although it doesn’t always work like that. Still, it’s possible that BMW and Mercedes could make a more affordable premium front-wheel drive car. In which case, the customer wins. Electrification and autonomy could also play a very big role. With two massive brands that both have a ton of R&D money, they could pool their resources and help create the best electrified/autonomous little car on the market. In turn, that could help both German brands develop better electric/autonomous tech for their other cars. BMW and Mercedes-Benz are strong rivals. While there’s respect between the two brands, as evidenced when BMW turned one hundred and Mercedes had a nice message, it’s not as if the two brands want to hold hands and take windy walks. They’re rivals and working together is not something that engineers will like. It could also just be about cost. If they just want to cut the cost of developing a low-profit style of car, so as to squeeze more profit out, it likely won’t be a great car. If the cynics among us are right an BMW and Mercedes-Benz are only about the bottom dollar, the car could just be another bland transportation appliance, like most of the front-wheel drive hatchbacks on the market. They could also lose a bit of their brand identities. 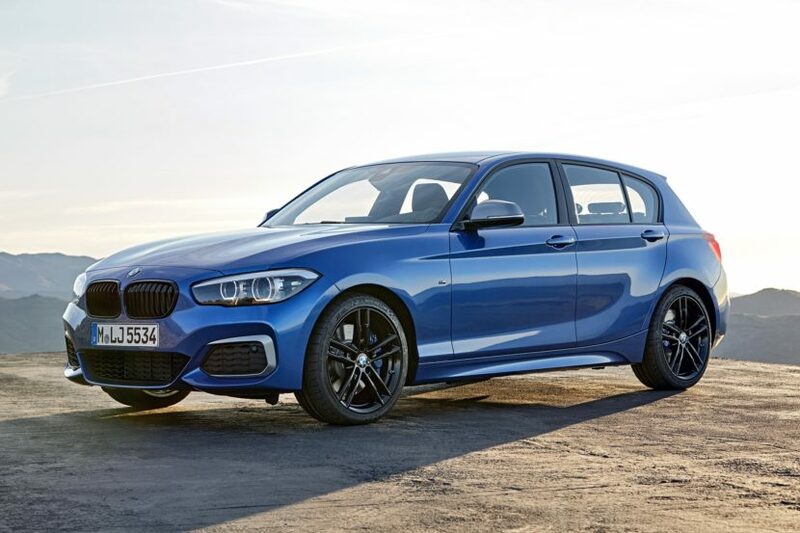 For instance, if the car underneath the new BMW 1 Series is actually a Mercedes-Benz A-Class, or vice versa, it might not look, feel or drive like a BMW should. And the same goes for the A-Class. So fans might actually be disappointed with the final product.